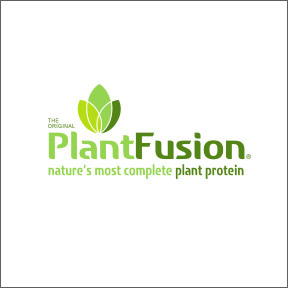 Professional Supplement Center is pleased to offer PlantFusion®, a line of high quality complete plant protein powders comparable to whey in amino acid density and balance. PlantFusion® provides an easily digestible proprietary blend of pea, artichoke, sprouted organic amaranth and sprouted organic quinoa proteins, and is fortified with branched chain amino acids and glutamine, as well as a proprietary enzyme blend to ensure digestion, absorption and bioavailability of the essential components. These nutrient dense, allergen-free, vegan-based, low-glycemic index plant protein powders are manufactured according to current Good Manufacturing Practices (cGMPs) in a facility certified by NSF International, a renowned leader in third party audits and certifications. All products are formulated with carefully selected pure and potent Non-GMO, gluten-free ingredients. Designed to help you achieve your health and fitness goals, PlantFusion® is recommended for muscle energy, appetite management, and overall recovery from exercise and daily stress. ON SALE! Complete Plant Protein Chocolate Raspberry: This naturally flavored plant protein blend provides 21 grams of protein, 120 calories and 4 g of sugar per serving. Enhanced with 4500 mg of branched chain amino acids (BCAA) and 3350 mg of l-glutamine, this product contains an abundance of vitamins, minerals, and phytochemicals, along with a complete profile of essential amino acids, enzymes and a prebiotic for digestive health. Dairy, soy and gluten free, non-GMO vegan formulation. Also available in Vanilla Bean, Chocolate, Cookies and Crème and Natural flavors. ON SALE! Lean Plant Protein Chocolate Brownie: This clinically tested EcoLean™ yellow pea protein is designed to replenish and energize, while curbing hunger and managing blood sugar. Each amino acid infused serving provides 20 different superfoods, along with 8 g of soluble prebiotic dietary fiber, lactospore stable probiotic, and bromelain, a natural digestive enzyme. Gluten and soy free, Non-GMO, hypoallergenic vegan formulation. Also available in Vanilla flavor. ON SALE! Organic Plant Protein Vanilla Chai: Each serving provides 20 g of plant-based organic protein along with a healthy dose of fermented foods, natural food-based probiotics, digestive enzymes and a prebiotic for better overall nutrient digestion and absorption. Gluten, dairy and soy free, hypoallergenic, Non-GMO formulation. Also available in Chocolate flavor. ON SALE! Phood Shake Chocolate Caramel: This full spectrum shake mix provides multi-sourced raw plant-based protein, along with an organic superfood energy mix, a whole food multivitamin, mineral and cruciferous greens mix, plant-based essential fatty acids, and a pre- and probiotic digestive enzyme complex for complete nutritional support and recovery. Gluten, dairy and soy free, hypoallergenic, Non-GMO formulation. Also available in Vanilla flavor. This entry was posted in Home and tagged Complete Plant Protein Chocolate Raspberry, Lean Plant Protein Chocolate Brownie, Organic Plant Protein Vanilla Chai, Phood Shake Chocolate Caramel, PlantFusion - Featured Brand, Professional Supplement Center, Vitamins and supplements, www.professionalsupplementcenter.com. Bookmark the permalink.